FIRST of all, I've never looked better at 42 than when I was 2 years old. I wouldn't dream of going back to the awkward Are-You-There-God,-It's-Me-Margaret 20s! I can't wait to turn 50! 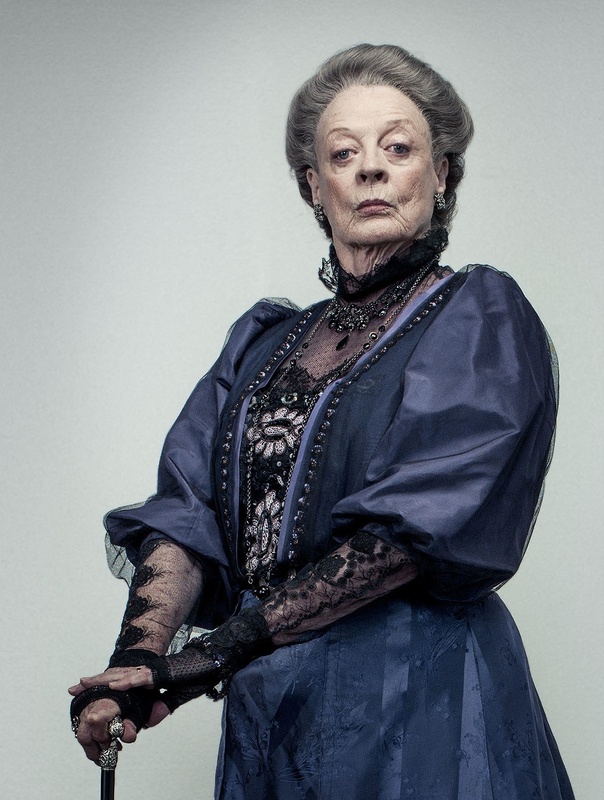 I want to be the Dowager Countess and look just like Maggie Smith when I grow up: she is GORGEOUS! You can't get away with giving looks like hers at 24. I was so very disconcerted with so many women approaching my booth asking if I had wrinkle cream. So yes, my PRO-aging moisturizer Laugh Line Re-Definer is capitulation, but still I maintain my integrity for aging. I am quite clear on my position on wrinkle eradication: why would you ever want to? I don't want to get rid of them, I want to help to nourish & nurture them naturally! It's wonderful, now when I go to a department store like and ask for mens socks, the clerk doesn't look left then right and say "...umm, I don't think we have any." Now I don't get a hard time paying with a torn $5 bill. Oh they might look up as they are about to say something, but they just look back, and my insta-furrow says it all "I know what you're thinking 'did [she] fire 6 shots or only 5'..."
I'm telling you, d'ain't nut'in' wrong with aging. Just ask my second favourite matriarch Madea! You just don't have the same kind of sassy verve as you do at 32! So long as you smile more often than not, and you truly do love yourself then you are - and have always been Beautiful! We can't improve upon perfection: We're here to help you live naturally with your Beauty. That there is an Industry that purports to have the "solution" to Beauty, and that it's only found in a jar! Oh THAT will make you beautiful - well I could just spit. We here at Kynk firmly believe that the one solution to all things - and aging is not a thing that needs solving - is LOVE! Spread Love, Share Love, Be Love, Make Love; the rest is commentary. You are Beautiful! "No I do not have the receipt!"